When cinephile Guillermo del Toro set out to make Pacific Rim, the passion that fueled his quest was born from a great fondness for the long, varied history of monster movies. One of Hollywood’s staples since the earliest days of motion pictures, these flicks haven proven to be a sub-genre with more versatility than anyone might have anticipated. After the genre itself had gone through so many transformations, the 1990s ushered in the nostalgia phase (which present day moviegoers know all too well) with a series of monster remakes. A chance to explore the untapped possibilities of old favorites? Highlight the amended role they might play in a new dawn? Or just make a few bucks with a familiar title? Eh, whatever works. 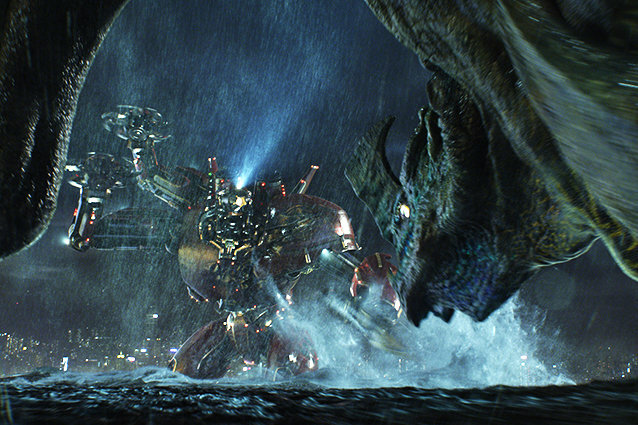 And now, we have Pacific Rim, a true love letter to the genre itself. Although the film quite definitely pays most of its gratitude to the Godzilla-style, big scale thrashings of the ’50s, there is no doubt a genuine love for all things monstrous in the heart and mind of the auteur del Toro. If you have any doubt, just check out his film Pan’s Labyrinth… it’ll creep, and charm, the hell out of you.